Join us as an INN volunteer. 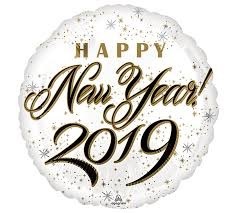 As we plunge into the New Year of 2019, INN would like to wish everyone a very Happy New Year! We said goodbye to our President of INN, Juli Bradley, who returned to the US in December, 2018. We will miss Juli and want to sincerely thank her for two plus years of service as our President. As expats here in Beijing, we all understand how everyday here can be an adventure and Juli kept INN going through many of those adventures. In the meantime, Mary Peng, who has been with the INN organization since it’s beginning will lead INN forward along with myself, Tim Perry. I have been in Beijing since November 1, 2015. Oh yes, I remember my first day here in Beijing as an expat very well. I had visited Beijing before in 2008 and again in 2014, but this time I had no return ticket. My first two months here were a challenge as it is for most of us, and in my third month, I discovered INN. My life here in Beijing since then is still an adventure everyday, but I can certainly handle those adventures a lot better knowing that I have a network of other expats and new friends here in Beijing thanks to INN. As expats living in a country that most of us will say goodbye to at some point, we all know the difficulty of saying goodbye to our new expat friends as they move on to the next assignment or return to their home countries. With that said, many of our volunteers with INN are of course part of that outward bound group of expats who leave Beijing. Therefore, INN is in need of volunteers who can join us to support this organization and keep it going for us expats remaining in Beijing and all of those expats who will arrive in the future. INN was so important to me in terms of helping me adjust and integrate into life here in Beijing, and I know that we all want to see this organization continue to help others in the future. So please consider joining us as an INN volunteer, and also a member of our Steering Committee. We have several volunteer Steering Committee positions available, including President. If you are interested in joining as a volunteer or want to join our Steering Committee, please contact me at the following e-mail address: INNBeijing16@Outlook.com. I look forward to hearing from you.